This research involved traveled the coast from Connecticut down the Atalantic Coast, the five states of the Gulf of Mexico, California and islands surveying existing sites, and compiling data. 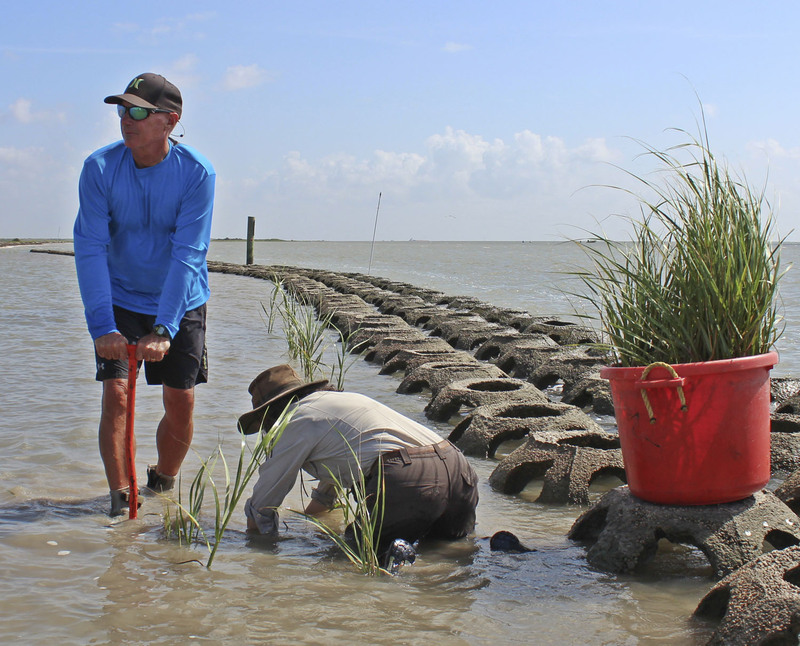 The photos and analysis of projects will provide insight into best practices for successful living shoreline projects. Factors such as water depth, anticipated wave energy, and the type of organisms will dictate the materials used. The Reef Balls have shown better oyster recruitment than other materials. Placing Reef Balls in multiple rows or using taller Reef Balls will increase the wave attenuation. Placement of Reef Balls can provide a large surface area, and the structure of the Reef Ball creates small eddy currents ideal for spat settlement, and for filter feeders. Aesthetics are important particularly when it is in a homeowner’s backyard. 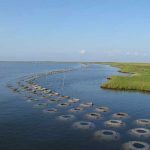 When following best practices, you will provide wave attenuation, resulting in increased growth of marsh grasses, as well as submerged aquatic vegetation. Placed properly Reef Ball, provide a great asset to a living shoreline and best of all they stay were there put. Several of the sites were comparative material, test sites. The surveys were looking for the most positive results at the various test sites. PRESENTER BIO: Larry Beggs, is the Vice President of the Reef Ball foundation. He has been involved with the Reef Ball Foundation since the early 1990’s . As President of Reef Innovations, the international contractor he trained organizations from around the world in the process of constructing and deployment of artificial reefs.